Lessen the effect of incontinence on your quality of life. 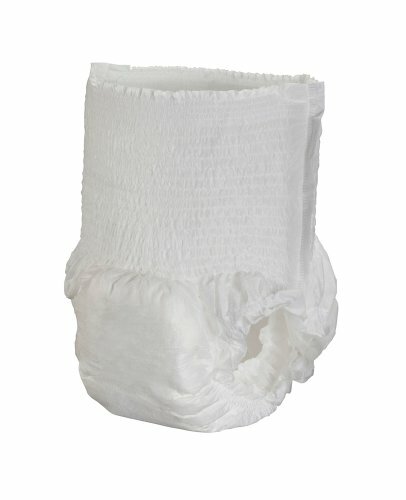 Moderate absorbency disposable underwear from Cardinal Health offers advanced core technology, white cloth-like outer fabric, advanced odor control, a premium acquisition layer and stand-up adult leg cuff leak barrier for moderate to severe urinary output and loss of bowel control. Size Large, fits 44-58 in. Not made with natural latex rubber.